We are part of the Elkhorn District, Blue Grass Council, Boy Scouts of America. Our pack meets during the school year normally on the first Thursday of every month at First United Methodist Church, our chartered organization, located in Georgetown, Kentucky [click here for map]. During the summer, when school is not in session, we usually have at least one event scheduled during each of the summer months. Many of our dens also meet at First United Methodist Church, though the meeting time and location is at the den leaders discretion. We recruit primarily from Anne Mason Elementary School and Providence Christian Academy, though any eligible boy may join our pack. 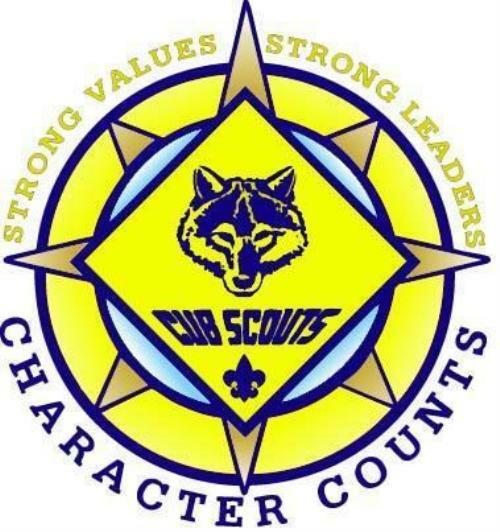 Cub Scouting is a character-building organization that embraces the values of citizenship, compassion, cooperation, courage, faith, health and fitness, honesty, perseverance, positive attitude, resourcefulness, respect, and responsibility. Boys in Scouting are expected not only to have fun and experience adventure, but also to accept Scouting's value system. Come Join Us in Cub Scouting! Please feel free to explore our site and learn more about our program. Click on Event Calendar for our latest scouting activities. Only Registered Cub Scout Families have access to our private pages. If you are a member of, or a relative of a member of Pack 350, and would like to have access, please send us an e-mail utilizing the "Contact Our Pack" link above. Thank You! !